(Sports Business Journal, November 25, 2013) When dealing with any relationship between the franchisor and the franchisee, one thing remains constant; the franchisee always wants more inventory to sell. This can be seen between the frequent push-pull of NBA teams and the league. 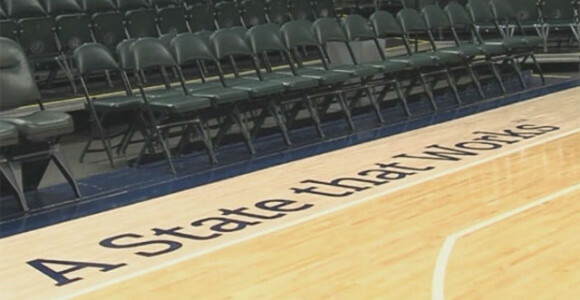 Once the NBA’s attempt to sell advertising on players’ jerseys fell through, a deal was reached for NBA teams to sell advertising in front of the players’ benches (apron advertising). Having new camera-visible advertising would seem to be a hot ticket considering advertisers are demanding more demonstrable ROI with their sports buys at this time, but this is not the case. Only two teams, Indiana and Toronto, have made a deal for an apron ad so far into the season. Although JP Morgan Chase has the apron ad at Madison Square Garden, this is because of the “marquee” sponsorship that Chase has paid for throughout Madison Square Garden, not because of the new apron ad deal allowed by the NBA. Don’t be fooled though, these aprons are expensive; no team has priced the apron ad price below one million dollars. Most teams are combining broad club IP and media packaging to go along with on-court signage. One of the big-market teams even priced their apron ad deal at over three million dollars. The apron ad is officially being called a one-year test by the NBA. This makes it difficult to sell a seven-figure sponsorship deal when the future of the deal is uncertain. Another reason sponsors are reluctant to make a deal is because of all the other premier signage that is also camera-visible such as kick plates, chair backs, basket pads and rotational sideline signage. According to the former NBA sponsorship senior vice president Cliff Kaplan, “You only get one chance at a platform like this and most teams want to get it right.” Because teams are holding steady at the seven-figure offer, it seems that teams are willing to sell this advertising space, but only at the right price.